Ladies, are you ready for this?! 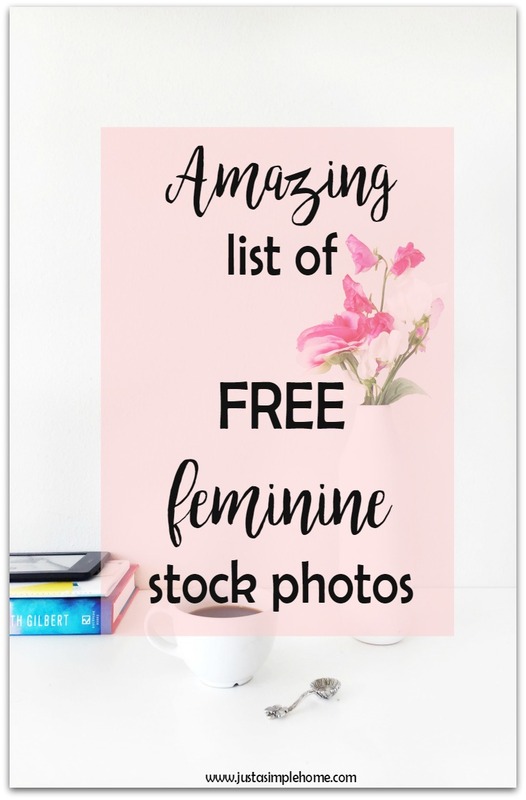 Free feminine stock photos for your blog?! We all know that having great photos on your website is a must! We live in a highly visual world and most people decide whether they like your site enough to stay and poke around in about 3 seconds. That’s all you get for a first impression – pretty rough. So, how do you invite your readers in and engage them? I don’t know about your photography skills, but mine are a work in progress. I do need to take some photos myself, but for the most part I rely on stock images. It can be time consuming and tricky to find photos that go with the content I am creating. But, to establish a social media presence and engage your readers, it a non negotiable. 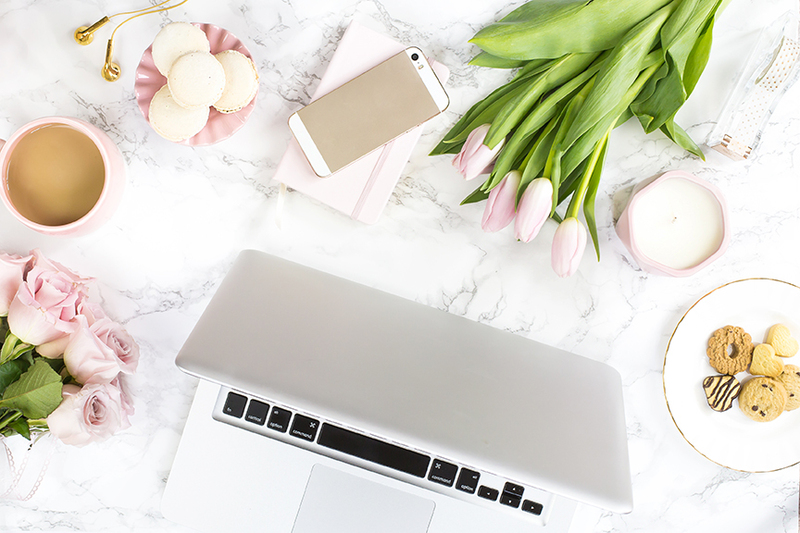 So, I have compiled a list of my favorite websites to get FREE, beautiful stock images that you can use for your websites and social media platforms. Gorgeous styled images, bright colors, new designs constantly. She will even send you free stock images monthly if you sign up as an Insider. I think many bloggers know about Rachel and her awesome stock library. The photos I use on my blog are mostly free photos I have received from signing up for her newsletter. You receive free stock photos along with branding tips in your inbox every month. Easily one of my favorites! LOVE these! You’ll get 15 FREE photos!! These are bright, crisp images to use to your heart’s content. They are all high quality, high resolution images. Feel free to add text, your logo, whatever you want! The only thing she asks is that you share her post! Join the mailing list and she will send you a FREE styled photo EVERY MONTH! Cindy also has an Etsy shop where she sells stunning stock photos. Kayla offers an amazing library of over 100 free stock photos, and send you about 10 free photos a month! Crazy generous! You’ll want to go sign up for this, trust me. She has such a great variety of images, they will appeal to everyone. She lets you use these personally and commercially. Alicia sends gorgeous stock photos to your inbox each and every month. These are photos that I always use, month after month. I know I can count on Alicia for high quality photos that my readers will gravitate towards. 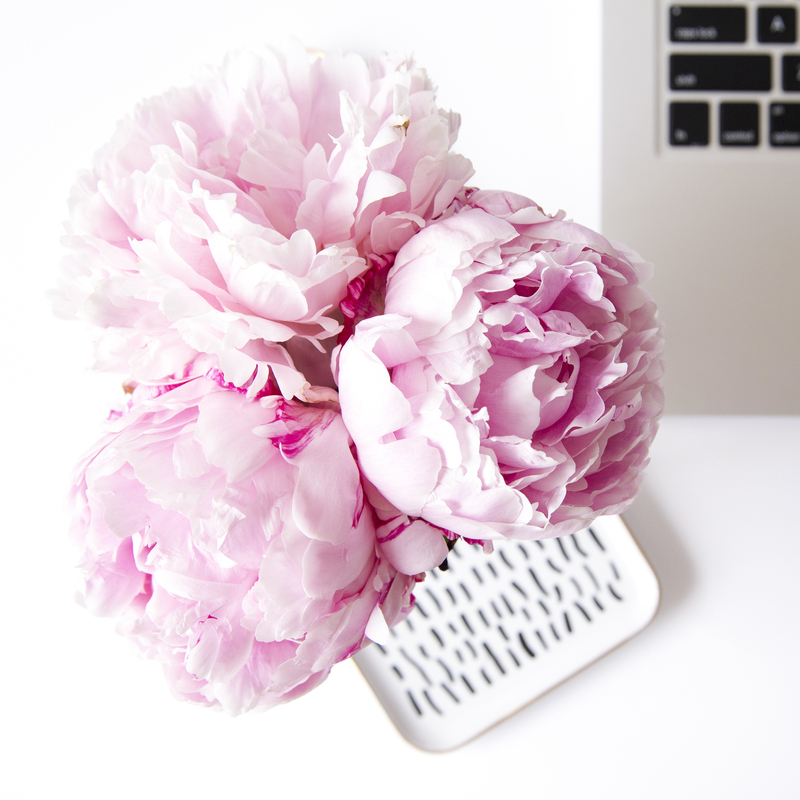 Download a whole pack of beautiful floral images, with an option to share and get another pack! Caitra gives you a whole selection with portrait and landscape images that you can use on different social platforms. Elle offers 10 gorgeous stock images to use for free! She also has a monthly membership option that is ridiculously affordable, where you can download 25 photos each month. Amazing. 10 free bright and beautiful designs for female entrepreneurs. Her images and classic and feminine and she offers other freebies as well for being a subscriber. Mel offers 7 free styled images as well as free styled desktop photos you are free to use as you wish. Have you heard me say “beautiful” yet? This is a French website, but it is worth the time to sign up for these free images – over 100 photos in exchange for your email. Crazy goodness! I stumbled upon this designer blog and I am so glad I did! They offer multiple images for free in all different colors and patterns, along with some free fonts and textures and wallpapers galore. No sign up required at all, just enjoy! Amazing! Download over 100 beautiful (have I said that yet?) images to use for free! All in exchange for an email! I just adore Haley and her site, she is full of inspiration and just makes you feel like you are best friends. Again, beautiful photos! You don’t need to sign up for these, she just lets you download. I got 6 free stock images that I love. The only thing she asks is that you link back to her when you use her photos. That’s a sweet deal if you ask me! Enjoy creating! Do you have any other favorites? Remember to always read the Terms and Conditions for each photo pack you download. Some require attribution, while others don’t want you to profit from their images, others are a free for all. Please be courteous and read first. Increase your readership, income, traffic and more with pretty printables! This free bundle of templates will help you create printable products your readers will love! Get ready to create printable products! Make sure to MAKE A COPY of the template pack before editing anything. If you don’t, you will edit the template and everyone will have access to your personal printables. Click the link, and then go to the top and click >>> make a copy. Then, design! This post is blogging GOLD. Seriously, awesome resource. My photography skills are a work in progress so it’s nice to know there are free options until I get my own photos. Thank you! Awww, you are so welcome Courtney! I know how you feel! This was very helpful, especially since I am new to blogging. Thanks for sharing! You are welcome, and happy creating! 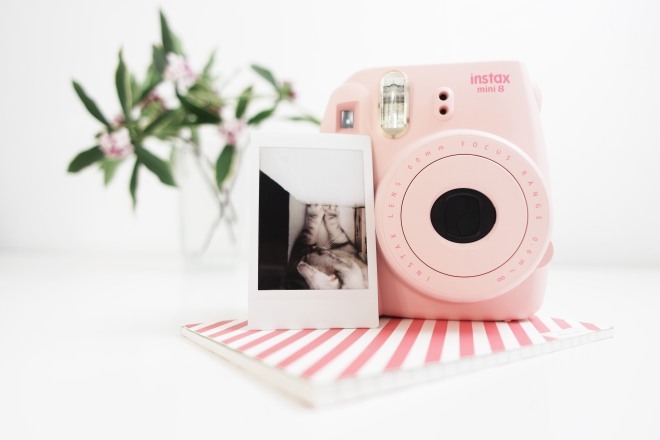 I am sure you will find many photos you love! Great list thanks so much for sharing. I pinned this to refer to later! Such a great resource! Headed to check out some of these links! Enjoy doing so, Emily! I love getting new photos! I’m definitely pinning this for later! Thanks so much! You are so welcome, Jessica! This is an amazing guide! I pinned it and saved it to my bookmarks! There have been so many times when I’ve been looking for something girly and just haven’t been able to find it so I’m so excited to check some of these out! I know exactly what you mean! That’s why I was so excited to compile a list all in one place. Enjoy! Lol, watch the emails come flooding in! I get so excited when I see new photos come through! Great post full of awesome resources! Thanks for sharing! You are amazing. Thanks for this!! Love the pics! I’ll have to check these out because I haven’t heard of them all. Okay, I made it! haha! I only got sidetracked 14 times! I love you for this post! I have been wanting to add stock photos to my blog, but did not have the means to take quality photos myself. Thank you so much! Pinning now! Lol, I never get sidetracked 😉 I’m so glad it will help you! Enjoy them all! This is such a fantastic resource! Thanks so much for taking the time to put it together. It was well worth the time! Thanks! Oh yeah, pinned! thank you for sharing such a great list! I’m always on the hunt for those perfect stock photos! This is awesome! I know that feeling well! Enjoy! I will definitely be checking out the ones I haven’t heard of just yet. Yay! This is super helpful! I’ll be checking all these places out. Thanks for all the resources! I’m so glad it is helpful Natalie! This is awesome. Thanks so much for sharing with us! I will be pinning for later for sure! In-creditable Girl! Very Nice Good! Great Post. It was just what I was looking for. Awww, thank you so much Brenda! I hope you find some great images! I’m always looking for good images and I’d never heard of a lot of these before! Thanks for sharing with us at Share The Wealth Sunday. I hope we see you again tonight! Glad to help Lisa and thank you! Thanks for this great post. I loved the free photos and am always so nervous to use one incorrectly. I appreciate the links to get pretty new pics! Ahhh!! Love this!!! If you recommend them they MUST be good because your site is beautiful. Can I live here?? ?